This is a slideshow of a 140-page illustrated guide to Blackpool in the books section. Click here and the page will open in a new window. 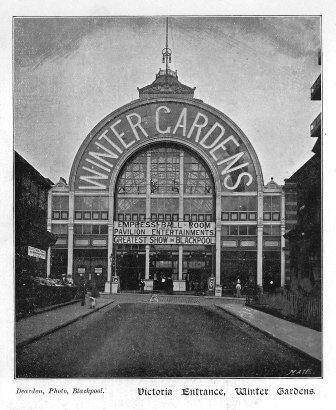 Victoria Entrance to Blackpool Winter Gardens in the 1890s.